My predominantly German heritage has passed on to me a bias toward avoiding unnecessary exaggeration. Along with this comes the idea of avoiding potentially empty adjectives. Hence, I think carefully about using the word “very” in English. I would rather rely on understatement much of the time, hoping the reader is paying attention to every word. With Chinese it is different, I have learned. They feel that to just say you are “happy” is to lack expression and feeling. Either you are “very happy” or you are not really happy at all. Of course, this also means that if you are busy (mang2) 忙, or cold (leng3) 冷, or tall (gao1) 高, or almost anything, you are “very” 很 whatever-it-is. 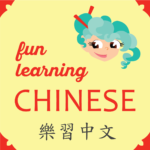 In fact, the common positive response to a question is “very good” (hen3 hao3) 很好。When I first started my lessons, and my instructors responded “very” 很 enthusiastically to my efforts, I had the impression they were overly excited. Instead, by their speech, they were already imparting to me the common usages of the Chinese language. I have never been this happy before! (zhi3) (yao4) (ni3) (ji4de.) (hao3hao3de.) (lian4xi2) (zong1wen2), (ni3)(jiu4)(hui4)(shuo1de.) (hen3hao3). Only you must remember to practice Chinese with dedication, then you will speak it accurately and well.